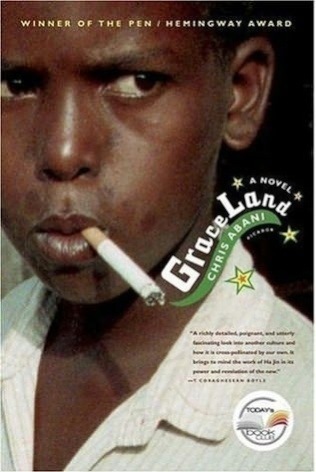 Sometimes a book just plain works despite its many faults, and Chris Abani is a relatively young Nigerian writer who has put together in Graceland a compelling, coming-of-age novel about a young Nigerian boy named Elvis living in Lagos. As you can imagine from the child’s name, a lot of this novel is constructed in terms of political imagery concerning the pervasive effects of the west on African cities and life therein. There is a lot of violence, and there is a lot here that trades on the the noir of the slums rather than the community. Nonetheless, Abani is a first-rate prose stylist, well deserving of the PEN/Hemingway award this novel garnered, and he has an intense vocabulary for visuals. Well worth the time you spend with it.